I was away for three nights on my first ‘girls’ holiday’ for eight years when my eldest’s first tooth fell out. 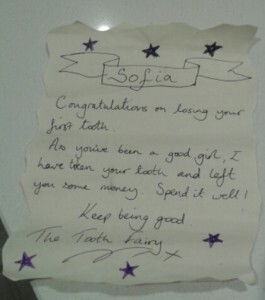 I was gutted and the Tooth Fairy’s visit was delayed a night. When she did visit, she felt guilty to have missed this first milestone and pushed the boat out with a special handwritten scroll, a personalised bracelet from Mallorca and a couple of quid. For the second tooth, the Tooth Fairy only remembered after midnight and wasn’t particularly discreet and then for the third tooth, she did remember her visit and to leave the money late Saturday night (well after wine o’clock had started), but forgot to take the tooth away until her husband mentioned it. Luckily tooth number four fell out two days after number three so that went a little smoother. I mentioned my rookie Tooth Fairy mistake on Facebook (the leaving the money but not taking the tooth episode) and it appears this fairy isn’t alone. 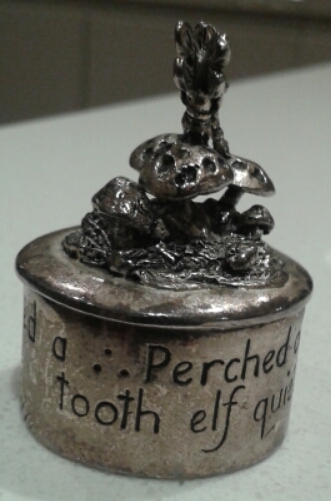 I think children have fairly high expectations about the Tooth Fairy, but fairies have increasingly busy lives and have a lot on their plates. I think we should forgive them any little indiscretions and salute their quick, creative thinking. To ensure that your kids have the best tooth care, and are tended to at any point of the day, look up Emergency dental service | oxford dental care | idaho falls and give their teeth the maximum protection. 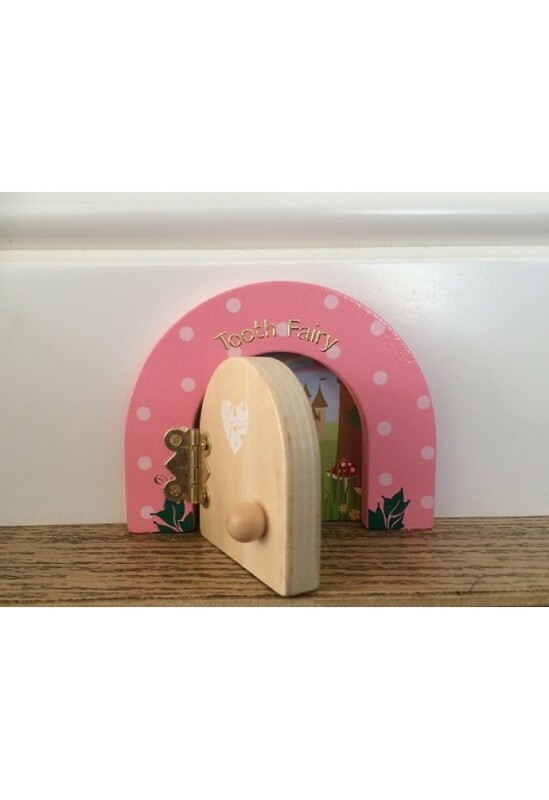 By the way, Fairydoorz do some great items specifically for Tooth Fairies if you are going the whole hog. Great article! I’ve had similar experiences with the Tooth Fairy at our house, and noticed other parents had similar issues. So I created the Tooth Fairy Alert app. You can report a lost tooth with your child, then follow a Bedtime Checklist to prepare for the magical visit. At night, the parent receives a reminder on their smartphone that the Tooth Fairy needs to visit. A built-in toothbrush timer lets the Tooth Fairy know when your kids brush for 2 minutes. And 10% of the profits help underserved kids receive dental care. This is such a great idea and with a charitable aspect! Thanks so much for sharing. 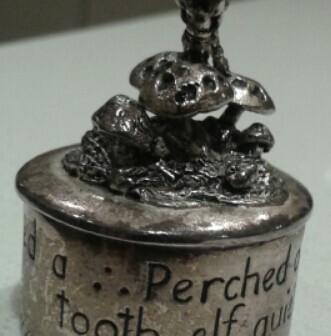 So glad that I’m not alone in the inconsistent Tooth Fairy! This is a really cute idea. Had a similar situation with our kids the other day, and the tooth fairy had to leave a tenner to make up for it! Hopefully a precedent hasn’t been set for every other milk tooth. It can be quite an expensive business. My daughter’s are coming out thick and fast. Plus I was told the molars command a greater amount! !